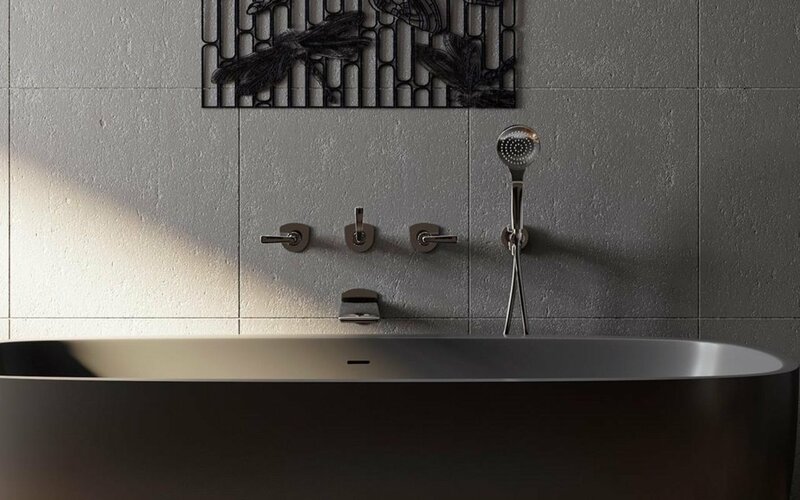 Tradition has been made modern by Aquatica with this attractive, understated three-tap bath/shower water controller that offers individual tap style operation in a smart contemporary mode. 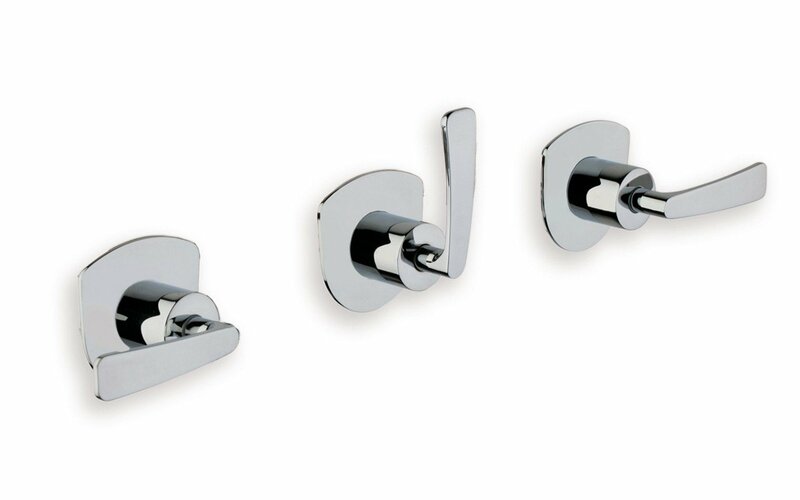 It features a series of three matching chrome-finished taps, each individually mounted, each featuring a stream-lined and up-to-the-minute feel, with easy-to-use tapered lever operation. Left and right taps provide independent hot and cold water control, whilst the middle up/down tap operates as the two-outlet diverter. You can choose how you use it - for a tub and hand shower, a tub and one jet rainfall style showerhead or for a showerhead with two functions such as rain and mist flow.